As a parent, life is busy. With school runs, parents evenings, work, feeding the kids and keeping them entertained, it’s no easy gig. Organising a birthday party for your child may seem like a daunting process, what with everything else going on, but with a bit of straightforward organisation, you can create a birthday party in a simple way that is still a lot of fun! Read our tips on how to achieve a party your child will never forget. It may seem like an obvious point, but a checklist is a really effective way to help you plan out what you need to do, when you need to do it by and it will keep you updated on what you have already done. Make sure this is the first thing you do, so that your birthday party organisation is as smooth as can be. Birthday parties don’t have to break the bank to be fun. By setting a budget, you can set yourself a target on how much you want to spend and plan around that. Try working out how much you want to spend per child. This will probably be one of the easier tasks – picking the theme. What is the latest craze your child loves at the moment? Think of that and hey presto, you’ve got yourself a theme. Maybe a hobby they love like football, for example! Or you could merge their favourite hobby and their favourite thing, like superheroes and football! Next, it’s best to find out who your child wants to invite, so you know how many children are likely to attend. Obviously you won’t know this until the invites have gone out and numbers have been confirmed, but it is helpful to have the invitation list ready so you know how many children you could be dealing with. It might be a handful of friends or it could be the whole class! Now you know your budget and what theme you want, the next step is booking a venue and getting a date in place. If your child loves animals, why not look at the local zoo or farm. 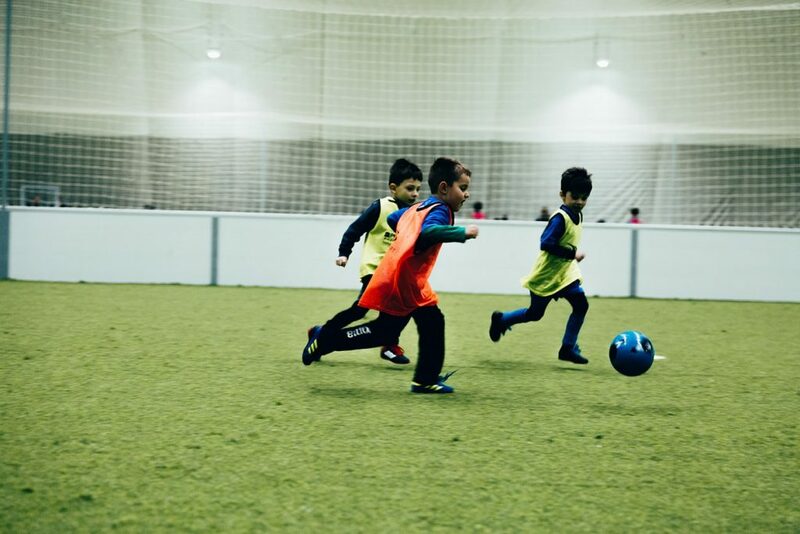 If they like football, well, why not take a look at our state-of-the art indoor soccer dome, fully equipped for fun and activity filled birthday parties, including food and fun extras! So, you’ve booked a venue, you have a date, you know your theme and you know who is on the guest list – next stop, invitations! Theses should include everything the parents of your children’s friends need to know. These are: where, when, what the theme is, what time it is, when do they need to be picked up and how to RSVP. It is always good for the parents to write their telephone numbers down in case of emergencies and if their child has any allergies. For an extra touch, why not decorate your invites with the theme and let them know how old your child is going to be. If you’re going to a venue, it is likely that they will provide the food, but if you want to create a picnic or packed lunch instead, it’s a good idea to get this planned out. If there are any dietary requirements, make sure to carefully label the food and put the child’s name on it. Alternatively, let the venue know of any dietary requirements so they can prepare too. For packed lunches, you can get fun, decorative boxes to place their snacks in, to match the theme. Keep the menu simple to cater for every child. It’s always a nice gesture to give each child a party bag at the end, as a little thank you for attending your child’s special day. These don’t have to be elaborate, maybe some sweets and a small toy or a slice of the birthday cake and some bubbles will be enough. A birthday isn’t complete without blowing out the candles on a special birthday cake. Some venues can provide a cake or they will look after one that you bring along with you and serve when requested. The cake can also match the theme! Finally, when all the organising is done and it’s time for the party, make sure to bring along a friend or your partner to help out or just to keep you sane whilst looking after a small army of children! It’s nice to have the company and back up if anything happens. We hope this list has helped. Don’t forget the balloons and party hats! If you’re looking to organise a children’s birthday party in Dublin, why not see what we can off you! We organise fantastic children’s birthday parties here at the Dublin Indoor Soccer Dome. Our active birthday party packages for kids start from €195 (for 12 children) and include… A 2 hour party, a referee for the duration, a party room host, food and drinks, room setup and a souvenir medal for the party boy / girl. You can upgrade to different packages too! Find out more about our Premiership Birthday Party Packages here. Don't Miss Out, Book your Pitch Today! Dublin’s Only Premier Indoor Football Venue. Play Football Indoors All Year Round.